I was not expecting the surprise ending to Danny DeVito's retelling of how he once saved the life of his 'Romancing the Stone' co-star Michael Douglas on location in Mexico. If you no like snek, no watch-a the video. Here is the story. Michael Douglas might have died if Danny DeVito weren't such a totally on top of it dude. DeVito remembers there was a man nearby driving a flatbed truck with something in a cage -- oh, hey, it's filled with snakes. 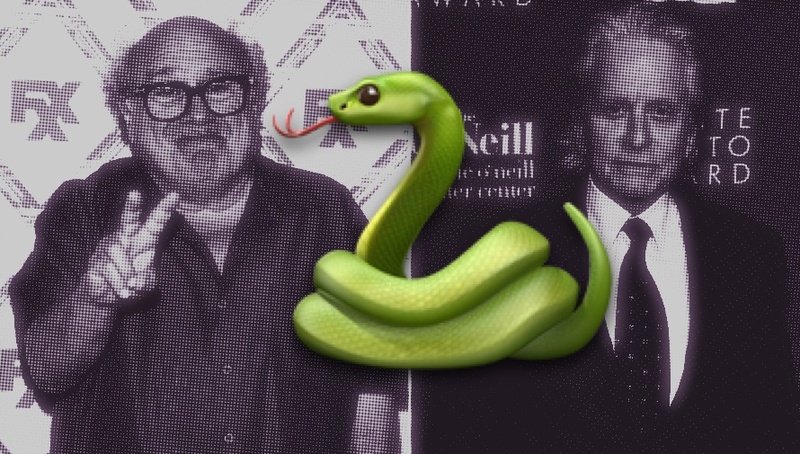 “The guy’s got a snake on his arm,” DeVito says. “Grabbed his hand … spitting all over the place,” he says as audience member go nuts. “Romancing the Stone” (1984) earned almost $77 million at the box office. I bet it would have made twice that if someone had been rolling at the time of this incident.